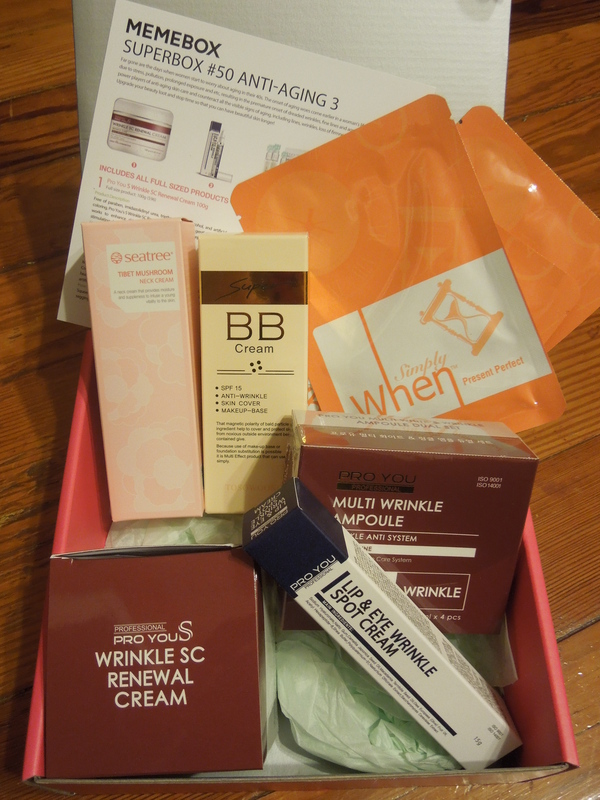 So it’s time again for another box from one of my latest obssesions: Memebox (pronounced Mi-mi-box). It features full size Korean beauty products and unlike monthly subs, you purchase themed boxes in advance that ship out to you later. 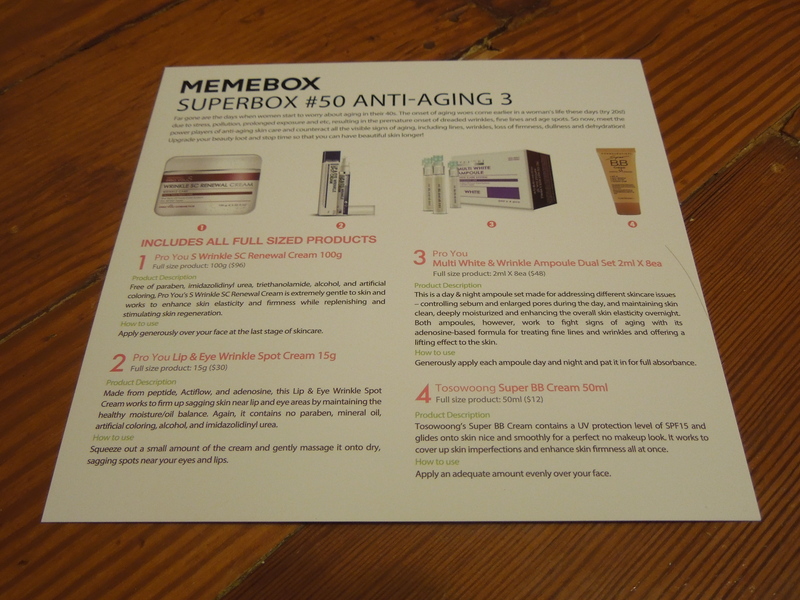 The Memebox folks were kind enough to send me the Superbox #50 Anti-Aging 3 for review. This box retailed for $39.00 (plus shipping) and is currently sold out, but if you’re interested be sure to check back for restocks. Memebox’s description: “Far gone are the days when women start to worry about aging in their 40s. The onset of aging woes come earlier in a woman’s life these days (try 20s!) due to stress, pollution, prolonged exposure and etc, resulting in the premature onset of dreaded wrinkles, fine lines and age spots. Damn it Memebox, way to scare us with all these early aging, wrinkle talk. Personally, I do think that it’s a good idea to start early with some anti-aging products, but if you’re 22 there’s no need to go overboard. That being said, I’m turning 35 in a couple weeks, so I’m ready to dive head first into this box. As usual an adorable and sturdy pink Memebox that will end up transformed into someone’s gift or polish storage. 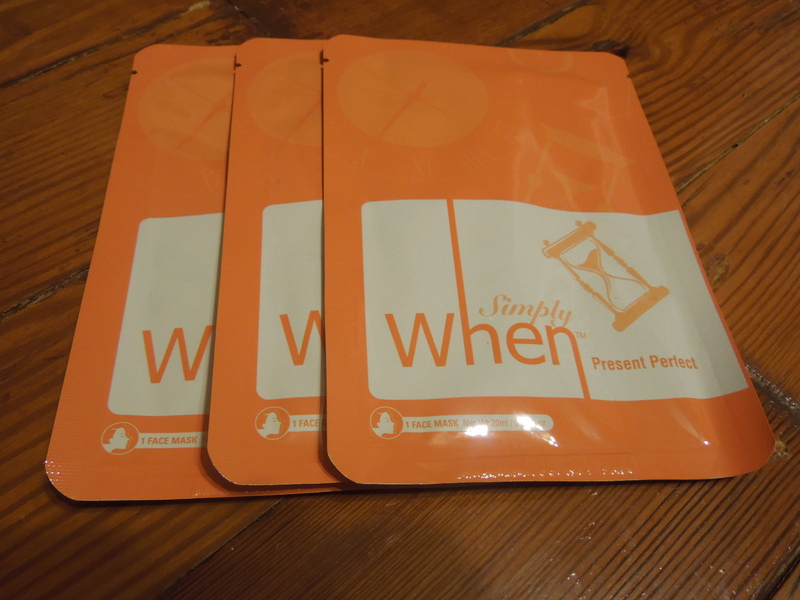 Thankfully, we’ve received our dual-sided card that gives product info and instructions. I swear I keep waiting for the day Memebox forgets one of these and I need to start using google to translate Korean. I try to incorporate anti-aging products into my beauty routine regularly and have done so for the last 10 years. I’m excited to try out a Korean anti-aging product and I appreciate that it is gentle and does not contain any harsh chemicals. 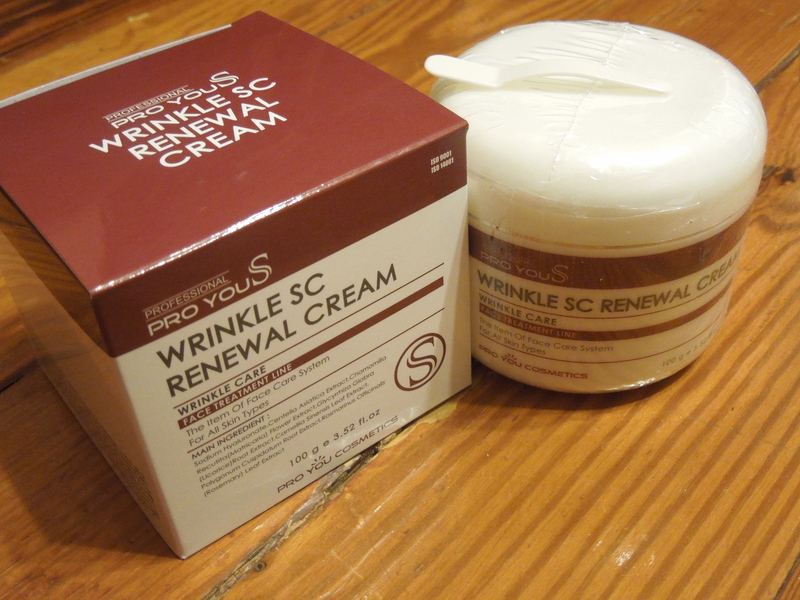 This is another item in the Pro You line and just like the moisturizer it is free of harsh chemicals. I love eye creams and I use them religiously. 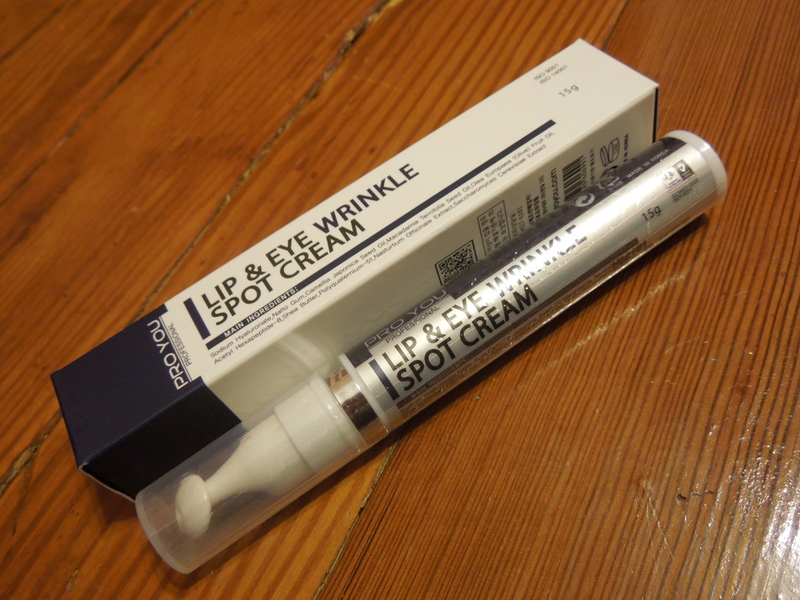 If you can only do one anti-aging product, pick up a great eye cream and it will keep years off your face. 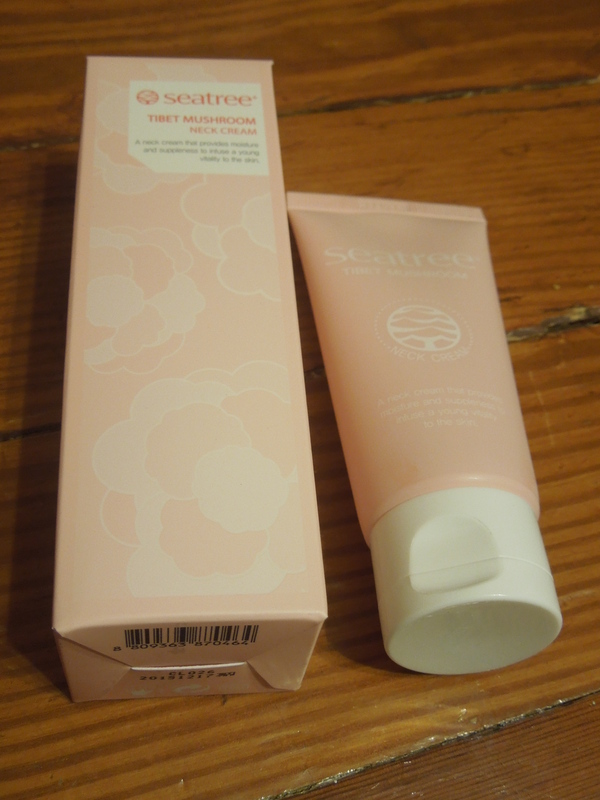 I’m always psyched to try new eye creams so I loved this addition. I will fully admit that I am slightly intimidated by this ampule system. I have never tried anything like it before, so for that reason alone I’m putting it in my like category. Part of my Memebox infatuation is that I get to try so many new things and products. I’d never have picked this up on my own, but I’m glad to try it out. 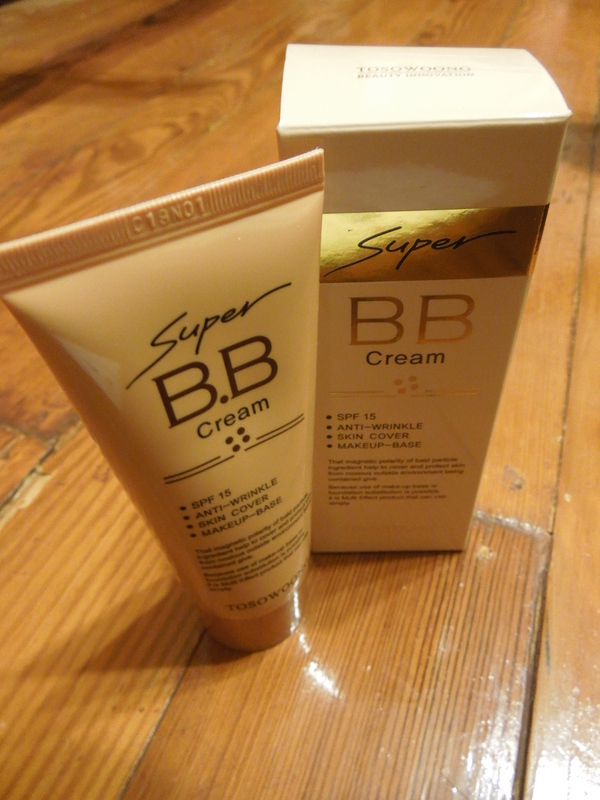 I’ve heard tons of wonderful things about Korean BB creams and so I’ve been waiting to get one in a box. I didn’t swatch this because my Makeup case is overflowing, but as soon as I finish up a couple other products I will give it a whirl. I’m hoping that it’s not too warm/yellow for my complexion, but it’s great to have an inexpensive BB Cream to experiment with. I’m like a face mask whore, seriously. I love trying out different face masks and am adding this one to my ever growing collection. 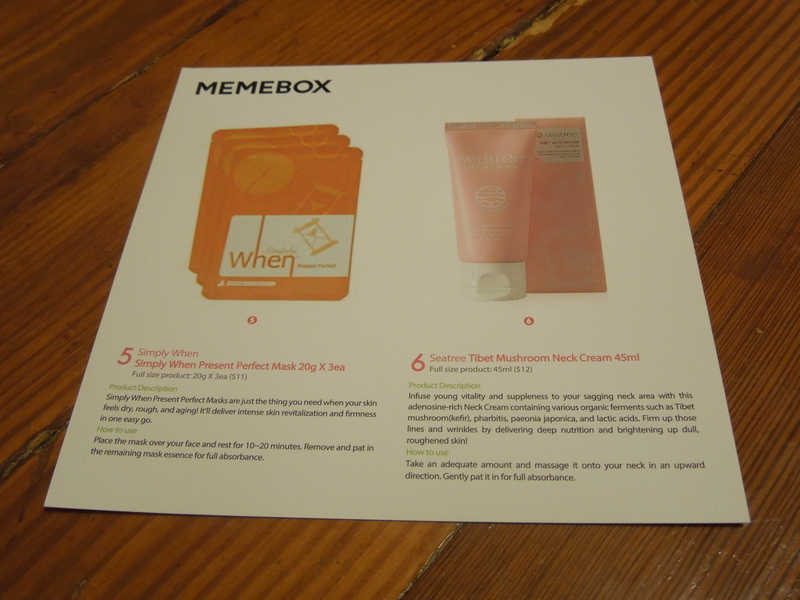 This is the only item from my box that you can grab on the Memebox site. A 10 pack is available for $27.00. To be honest I think I’m probably a little too young to have to worry about a “sagging neck area” but an ounce of prevention is worth a pound of cure so I’ll give this product a shot. I’ve never used anything like this so again, it will be something new to explore. 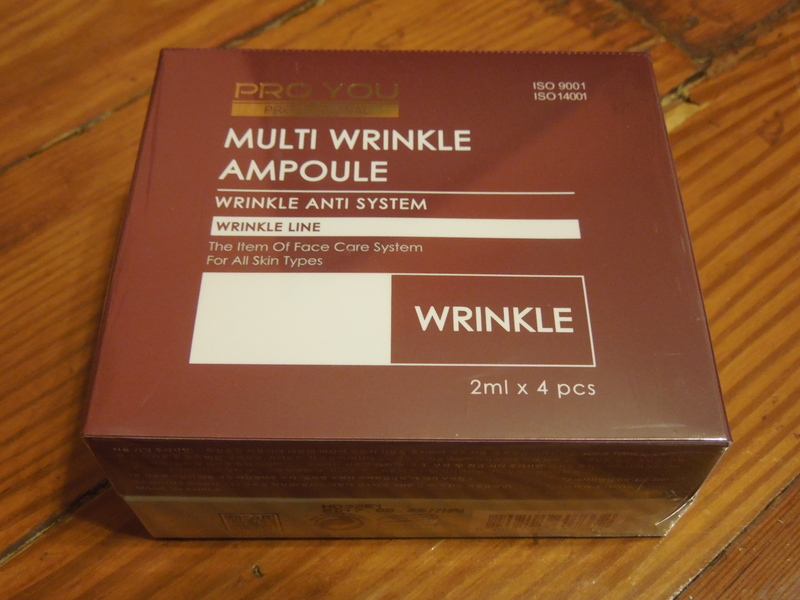 I thought this was a well put together anti-aging box. 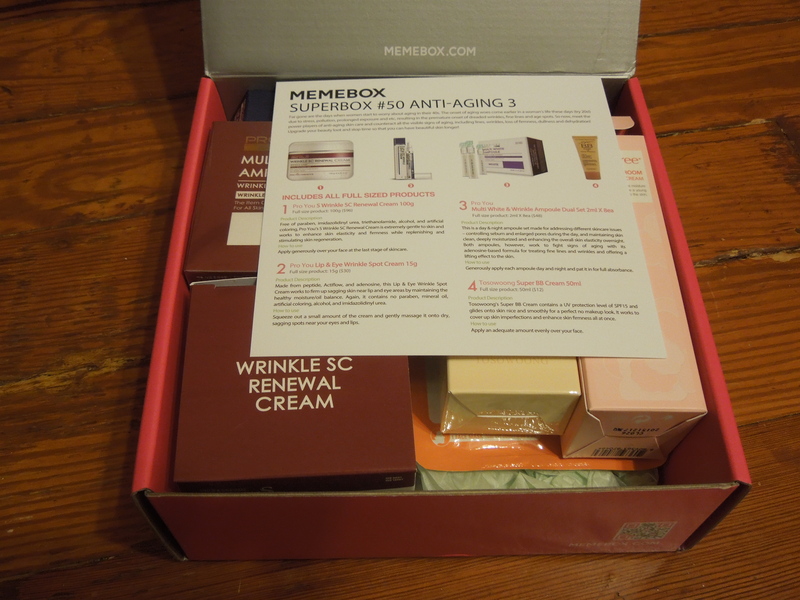 Memebox included everything you’d need for a full anti-aging skin routine. I’m going to put all these products aside until I use up a couple opened products and then I’ll use them together an anti-aging kit. According to Memebox retail the total value of this box was $209.00, but they do seem to inflate the costs quite a bit. The cost to purchase this box would be $39.00 plus shipping and I would have been more than satisfied with paying that for these products. I will use everything in the box and it had a nice mix of familiar things (like eye cream) with more unusual items (like the ampules). 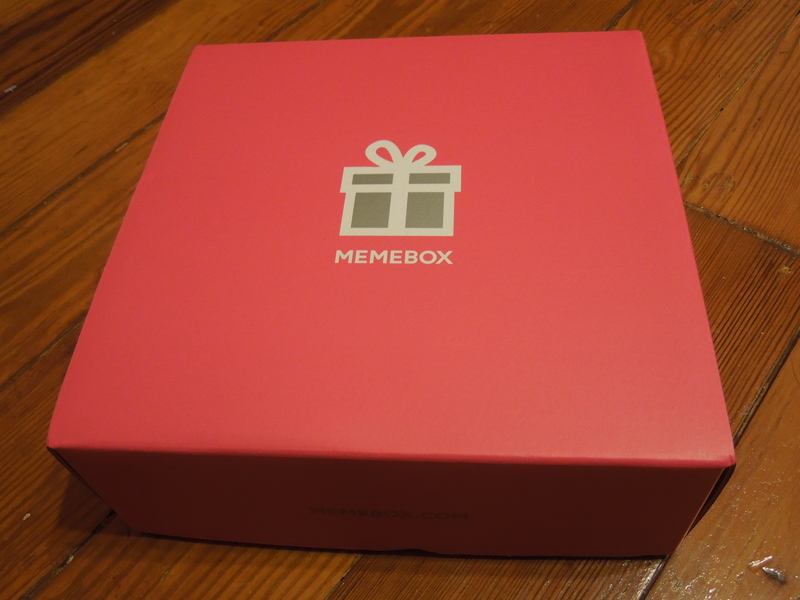 So if you love checking out memeboxes, be sure to come back as I have a whole bunch currently en route to me including: #16 Memebox Global, Princess Edition #1 Snow White, #51 My Cute Wishlist #2, #61 My Cute Wishlist #3, Memebox #44 Very Berry & Superbox #63 Blackheads No More Bundle, and Superbox #66 Tony Moly & Holika Superbox #67 Holika Bundle. My next Memebox review will be the Special #31 Earth & Sea Cosmetics. Be sure to follow my blog if you don’t want to miss it. Memebox is constantly updating their box selection and offers, so always check my latest Memebox reviews for current coupon codes and offers (jump down to the Backstory for a list of current coupon codes). They also have some offers that are only available through affiliate links. They will frequently re-issue sold out boxes so if you’re in love with something sold out, make a wishlist and sign up for the Memebox newsletter to find out if it gets restocked. Description: “If you could only use one K-Beauty product for the rest of your life, what would it be? That’s the question we asked all the ladies in Seoul City! We hunted down the beautiful ladies of Seoul to see which beauty products they can’t live without to curate this special box, bursting with only the most buzzed about beauty innovations that’s all the rave among hot Seoulites! Description: “Say goodnight to all your imperfections with this luxurious While You Were Sleeping Box! This night care recovery box bursts with skin, body and hair miracle-workers that combat all signs of aging for a younger, brighter, more beautiful you. Memebox offers some of these boxes in combo sets that give you a discount, so if you want to grab more than one be sure to check out the value sets. 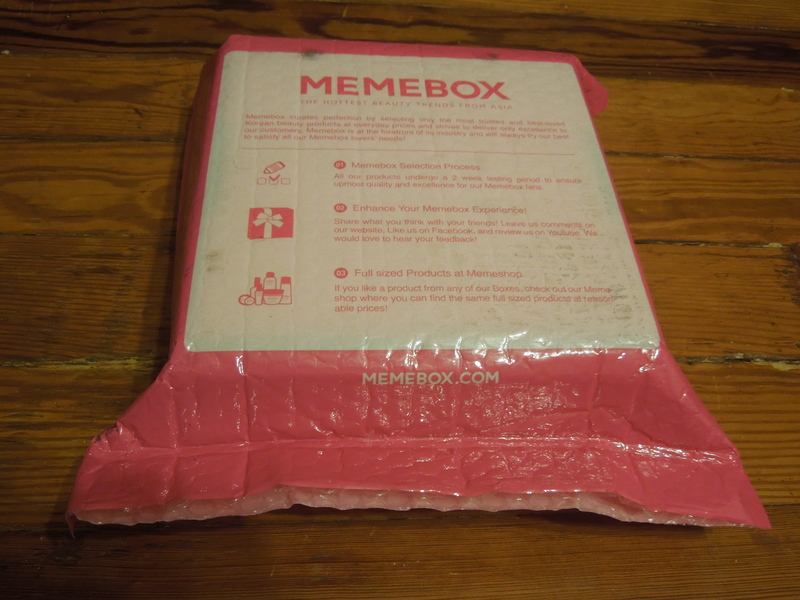 Do any of the Memeboxes interest you? Which one would you choose?